Mexico has reshaped the auto industry in ways that cannot be undone as quickly or as dramatically as Trump has suggested. SAN LUIS POTOSI, Mexico — During his campaign, Donald Trump called American investment in this city “an absolute disgrace.” He lobbied Ford to stop building a $1.6 billion factory here, and the company acceded. It appeared that this colonial capital, booming thanks to auto companies lured by the North American Free Trade Agreement (NAFTA), could be undone by the Trump administration’s efforts to gut one of the world’s most profitable free-trade zones. Even as NAFTA talks continue, Mexican cities like San Luis Potosi continue to thrive, a sign of how deeply entrenched the U.S. automotive industry — driven primarily by low labor costs — is in Mexico. “The feeling we are receiving from our customers is that nothing is going to change,” said Jorge Luis Gonzalez, the manager at a factory owned by Samvardhana Motherson Group and producing hundreds of thousands of rearview mirrors every year for more than a dozen major automobile companies. Why are cities such as San Luis Potosi thriving while NAFTA’s future remains unresolved? Part of the reason is that Mexico has reshaped the auto industry in ways that cannot be undone as quickly or as dramatically as Trump has suggested. And increasingly, it appears that trade negotiators are reaching the same conclusion: U.S. officials were optimistic that an agreement with Mexico on key parts of a new North American trade deal would be announced this week and would require more manufacturing work to be done at higher wages, probably in the United States. But experts are expecting concessions for companies already operating in Mexico. San Luis Potosi is not alone in weathering NAFTA uncertainty surprisingly well. The value of the Mexican peso has risen more than 10 percent in the past two months. The country’s stock index is up more than 5 percent in that time. Those increases are due in part to the stance of President-elect Andrés Manuel López Obrador, a populist whose support of NAFTA has quelled some concern about the future of the automobile industry. 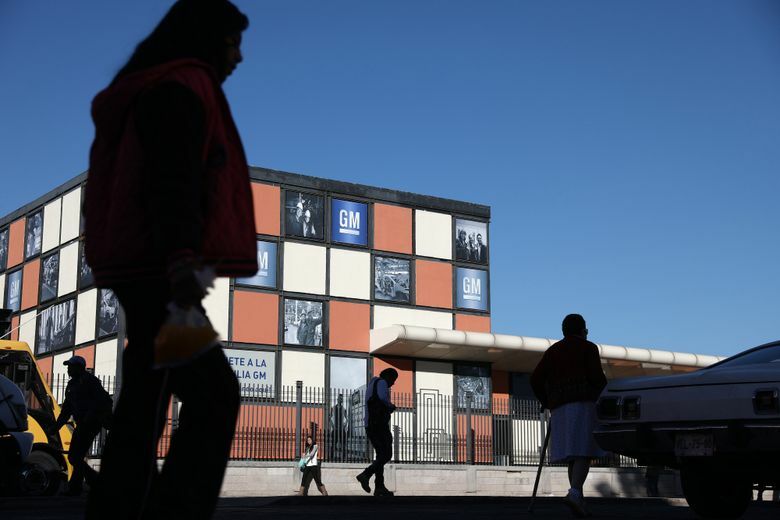 After NAFTA took effect, it was not just big car companies that opened plants in cities like this one — a universe of auto parts manufacturers peppered central and northern Mexico with factories. More than 90 percent of U.S. steering wheels are produced in the city of Matamoros. The same city hosts the largest windshield wiper manufacturer in North America. In San Luis Potosi, the Samvardhana Motherson Group produces rearview mirrors for multiple companies including Mercedes-Benz, Chevrolet and Volkswagen. In another factory, the company produces a fuel pump component used in 9 million cars annually. For perspective, Americans buy 12 million new cars annually. Still, the Trump administration has pointed to the ways NAFTA has increasingly left American companies out of the manufacturing cycle. In 1995, the average item manufactured in Mexico included 26 percent of American “value-added,” according to a Department of Commerce report released last year. In 2011, the U.S. share was down to 16 percent. “While NAFTA has achieved its goal of increasing three-way trade in absolute terms, American workers and businesses are not benefiting in a way that is fair and reciprocal,” Commerce Secretary Wilbur Ross wrote in The Washington Post, in response to that study. At the heart of NAFTA are low-paid Mexican workers who continue to produce American automobiles far more cheaply than Americans ever could. Over the last year, as Mexican and U.S. negotiators shuttled between their two capitals for talks on NAFTA, business leaders in San Luis Potosi pushed deeper into rural regions in search of workers. For $1.30 an hour, Guadalupe Torres Anguyango, 21, wires the rearview mirrors of the world’s newest SUVs. For $1.25 an hour, Betzida Rivera, 21, makes a component for fuel pumps used in some of the fanciest sedans. “Seventy percent of the people in my municipality work in the auto industry,” Rivera said, on a break from her work inspecting the components. Decades after NAFTA was introduced, entry-level wages here remain remarkably low, a product of both an enormous supply of labor and relatively toothless unions. The national minimum wage is just over $4 per day. “Is the U.S. really willing to pay $18 an hour to do this work?” asked Rafael Villanueva, the president of San Luis Potosi’s association of manufacturing companies. The answer to that question can be seen in the evolution of San Luis Potosi’s landscape. Where there was farmland, there are now factories making tires, transmission systems and headlights. The grandchildren of miners are applying for jobs at General Motors. While some expected Trump’s trade war to slow the boom, in the suburbs of San Luis Potosi, there is more talk of the new BMW plant than about NAFTA. (BMW received more than $200 million in tax breaks to build the plant here). “BMW Group’s commitment with Mexico is a long-term investment. The decision of the company to establish in the country is steady, even if one or the other trade agreement might be renegotiated,” said Christine Graeber, head of corporate communications for the BMW Group’s plant in San Luis Potosi. By 2019, the billion-dollar plant will produce as many as 150,000 cars per year, BMW says. Buoyed by the growing demand for auto parts, smaller companies, such as Indiana-based Metal Technologies, are preparing to open factories here. The plazas of San Luis Potosi remain full of recruiters. “What you see is confidence that we have a government that’s going to solve this problem,” said José Manuel Melchor Moreno, the director of economic development of the municipality of Villa de Reyes, just outside of the city of San Luis Potosi. That confidence in the city’s future in the Trump-era wasn’t always a given. In 2017, when Ford canceled its plans to build a new plant here, there was a moment of deep fear. But the tidal wave never came. Even Ford partially reversed course on its decision to relocate jobs from Mexico to the United States, announcing last December that it would produce electric cars in the city of Cuautitlan, instead of Flat Rock, Mich., as it had originally said. The reason? Lower labor costs. Now, the last chapter of NAFTA negotiations will turn on the question of wages. U.S. negotiators are lobbying for a greater portion of a completed automobile to be made in “high salary zones.” In other words, a new deal might require that a great portion of auto parts are produced by workers making above $15 per hour. 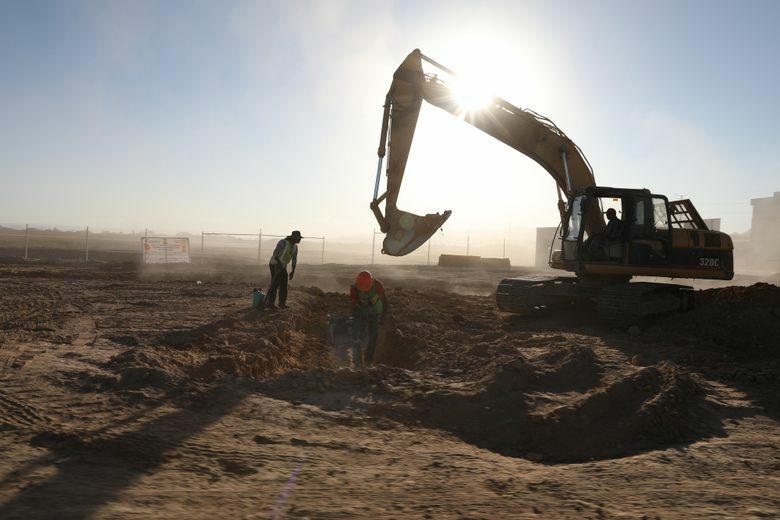 Companies based in Mexico would then need to decide whether to increase wages — losing their competitive labor costs — or allow jobs to float across the border. What is likely to happen, according to those familiar with negotiations, is that both sides will agree to roughly 40 percent of a vehicle being produced in the United States. One study from the Department of Commerce last year said that, in 2011, U.S. production accounted for roughly 12 percent. But companies already operating in Mexico might be exempt, experts say. Also, economists argue that companies will likely have the option to continue exporting to the United States from Mexico under the World Trade Organization’s “most favored nation” clause, allowing relatively free trade, even in the absence of NAFTA. In fact, some foreign companies in Mexico are already trading based on WTO rules. Most experts anticipate that the auto industry’s footprint in cities like San Luis Potosi would remain mostly unchanged, even if a new trade agreement requires that a larger portion of an automobile to be produced in the United States. “The reality is that the competitiveness of the auto industry in the U.S. hinges on the competitiveness of the auto industry in Mexico,” said de la Calle, the former economy undersecretary.